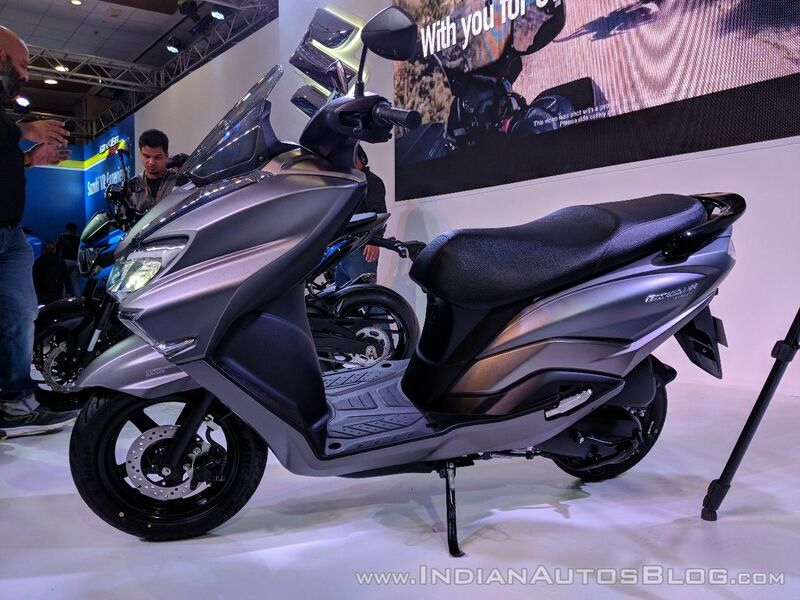 Suzuki Motorcycle India showcased the Burgman Street in India at the Auto Expo 2018, a maxi-scooter that will sit above the Access 125. Suzuki has already started dealer dispatches of the scooter. Here are the six things to know about the upcoming model. The Suzuki Burgman Street shares its styling with the Burgman 650 maxi-scooter. The Suzuki Burgman Street takes its design inspiration from the Burgman 650 flagship maxi-scooter. The scooter features sporty design language with bulbous body panels, tall windscreen and a spacious seat for comfort. The ergonomics seem comfort-oriented with the relatively high-set handlebars. The scooter gets a sizeable front fender and a chunky rear grab rail. Powering the Suzuki Burgman Street is the same 124.3 cc, single cylinder motor that does duty on the Access 125. The engine is tuned to develop 8.4 bhp of power at 6,500 rpm while developing 10.2 Nm of peak torque at 5,000 rpm, mated to a CVT transmission. 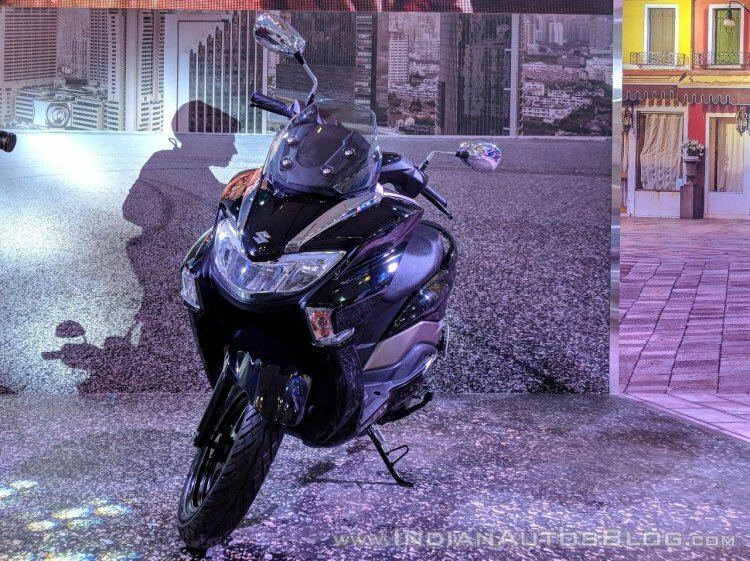 Key features on the Suzuki Burgman Street include LED headlights and taillights, a multi-function key slot, an all-digital instrument cluster, a 12V charging socket, and generous under-seat storage space. The scooter features a disc brake up front, and the rear brake is a drum setup, while CBS (combined braking system) is standard. Suspension components are telescopic forks at the front and a rear mono-shock. The Burgman Street rides on 12-inch front and 10-inch rear alloy wheels that use tubeless tires. The maxi-scooter features a fuel tank capacity of 5.6 litres and a kerb weight of 110 kg. The Suzuki Burgman Street measures 1,884 mm length, 1,163 mm height and 661 mm width, while the scooter gets a wheelbase of 1265 mm along with a ground clearance of 160 mm. Features on the Suzuki Burgman Street include full-digital instrument cluster, LED headlamps and front disc brake. Suzuki will launch the Burgman Street in India on 19 July and price it around INR 75,000 (on the road). The scooter will rival the Aprilia SR 125, Honda Grazia, and TVS Ntorq 125.